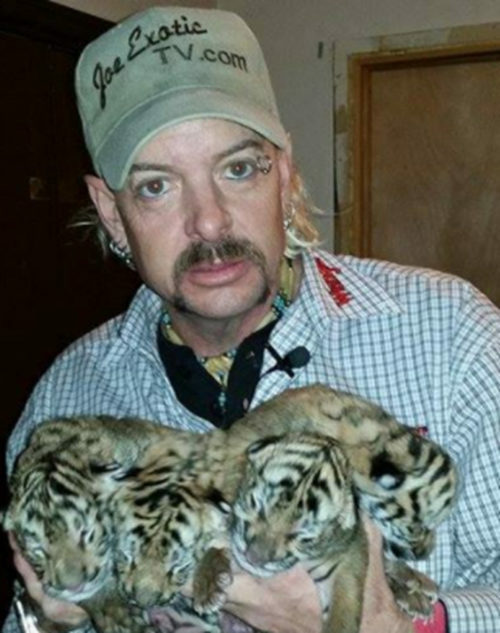 Exploiting tiger cubs at this roadside bear pit isn’t a new thing. 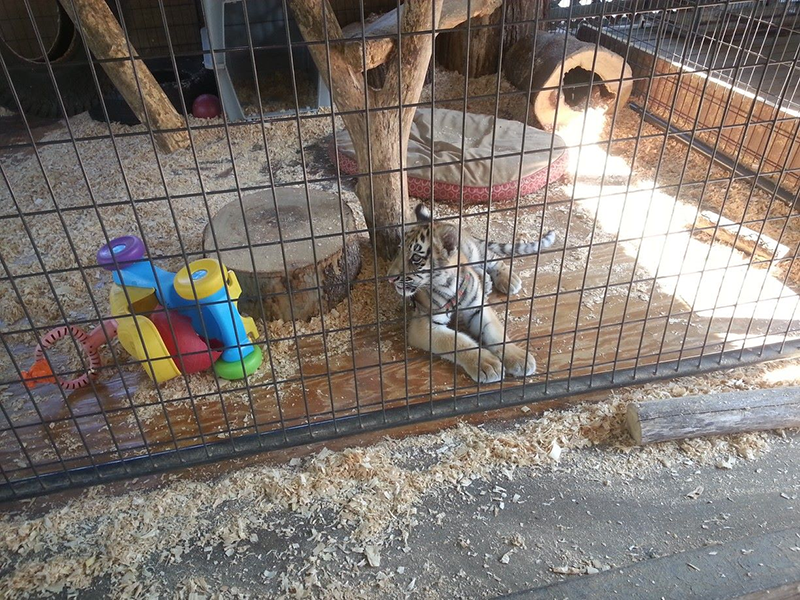 The Cherokee Bear Zoo, owned by Barry Coggins, has bred and kept tigers onsite in pretty poor conditions since at least the late 1990s. 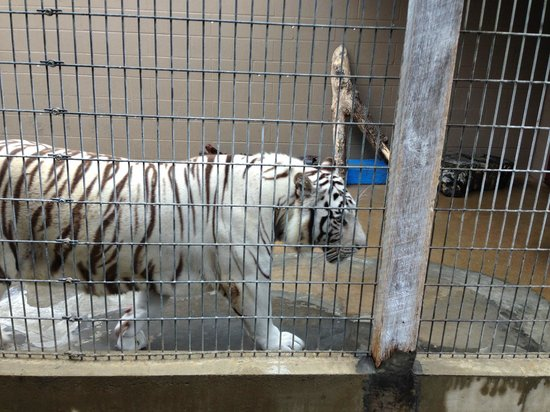 Right now, they have at least one adult white tiger and one orange tiger. It looks like they’re trying to breed more white cubs while exploiting the rest for petting. 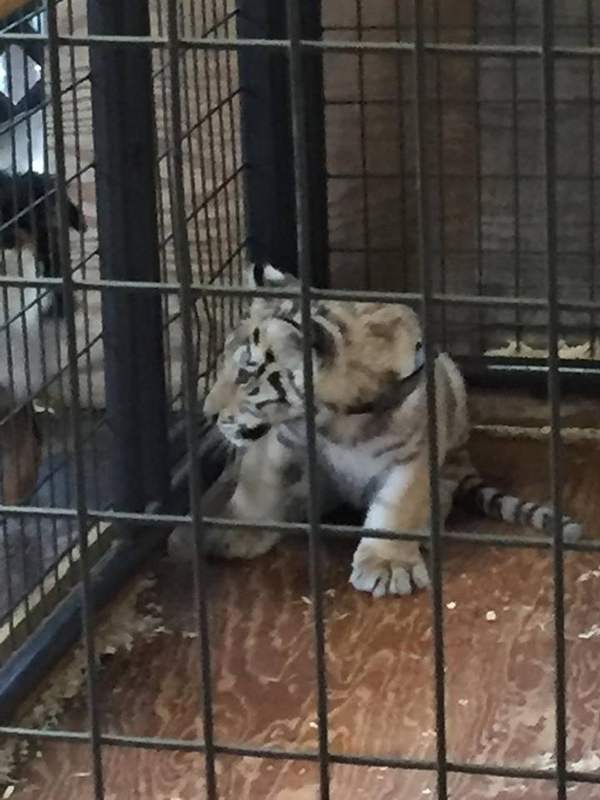 There are reports of “pay to play” with tiger cubs at the Cherokee Bear Zoo from as far back as 2012 (they’ve been doing it with bear cubs for even longer than that), and the USDA has cited them at least twice for underfeeding malnourished tiger cubs, according to this report. Where the cubs go once they’re too big to handle is the million-dollar question, and something we will look into more. It looks like right now, they do have at least one cub, named “Stormy”, above, who was three months old at the end of April 2018. 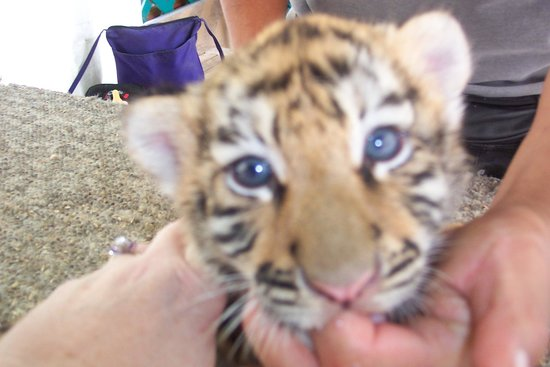 Tourists can still pay $20 to pet/take a photo with a cub, so if it’s the same cub, she’d be nearly 5 months old now and too big to use for public contact. 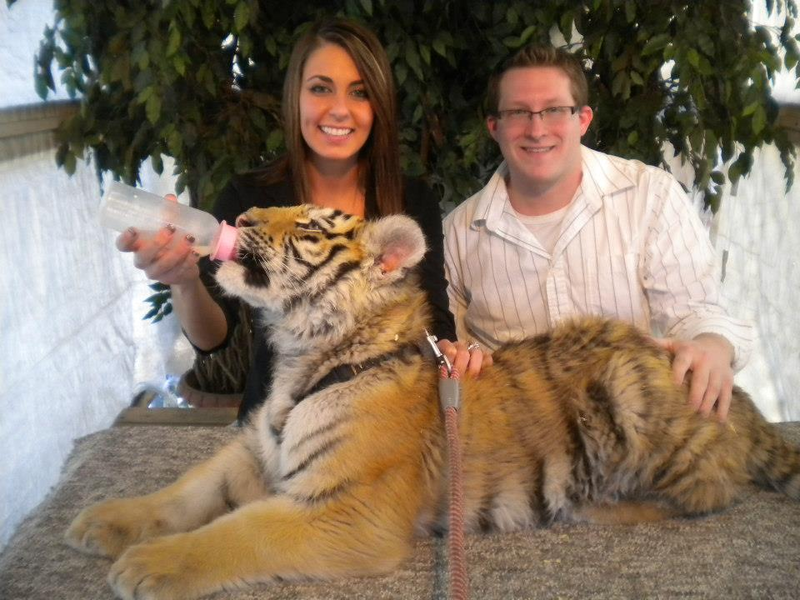 Judging by Facebook pictures, it looks like tourists frequently pet cubs much larger than USDA regulations allow. The above photo was posted on April 18th. 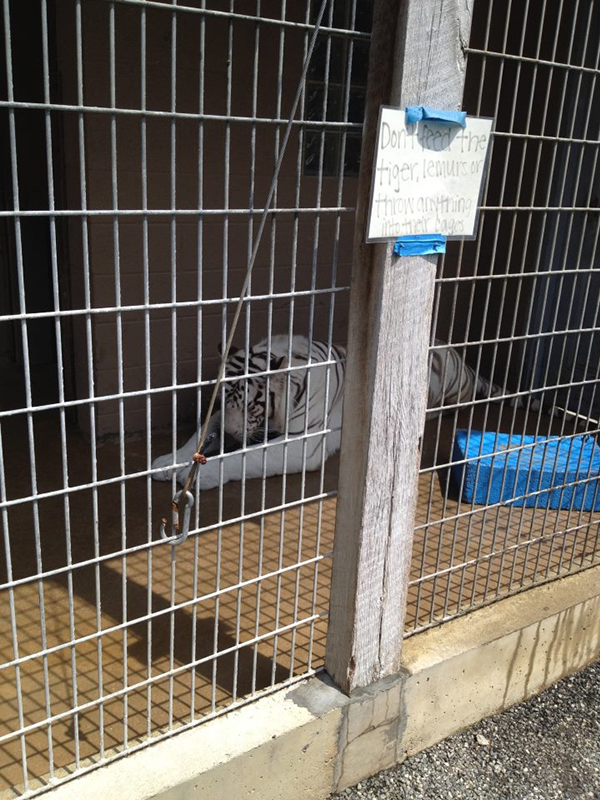 Here’s where their adult white tiger lives — a tiny concrete slab. It looks like there may be sores on its elbows from lying on the concrete. 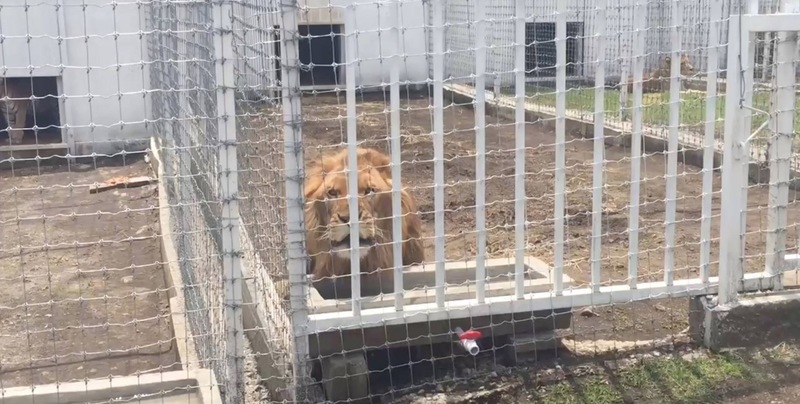 In August 2017 Cherokee Bear Zoo and Exotic Animals court case showed an appeal, that overturned a prior ruling, that there was no Animal Welfare Act violations regarding the way the animals were kept. Does anyone have further info on this case? Please let us know in the comments below.